The Ann Arbor Public Schools is pleased to announce the hiring of Mr. Ché A. Carter as Principal of Clague Middle School beginning in the fall 2013-2014 school year. Mr. Carter has served the Ann Arbor Public school system in various positions over the last nineteen years, most recently as Principal of Pattengill Elementary. Prior to his tenure at Pattengill Elementary, Mr. Carter served as an assistant Principal at Forsythe Middle School. 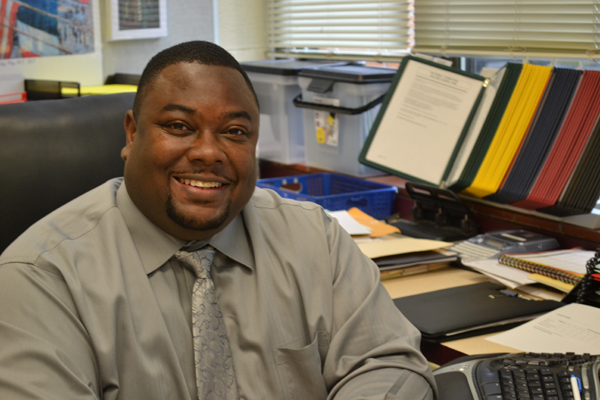 Mr. Carter makes use of academic scholarship in his work with students, families, staff, and fellow administrators. Before his tenure in administration, Mr. Carter laid down the foundation of learning for students as an elementary school teacher. He brings with him experience in curriculum development, parent and community involvement, and staff development. In addition to his leadership experience, Mr. Carter is a former Clague student and excited to rejoin the community. We would like to thank Ms. Judy Hayes for her service as the Interim Principal at Clague. Ms. Hayes will continue to serve the Clague community as the Assistant Principal. We very much appreciate Ms. Hayes dedication to Clague students, families and staff. There will be an opportunity to welcome Mr. Carter to the Clague community prior to the start of the 2013-2014 school year. Words cannot express how wonderful this news is. Not only is Che a great hire but he’s a product and heavily invested into the community in which he now serves. A2 Public Schools should be proud of themselves for making a hire of a product of their own. This is how you build a community. Using resources from within that truly cares not only about the school, but the surrounding community. Great hire! Great choice! Che will be a great asset to Clague! !